Things looked bleak for the struggling Gator offense, held scoreless for the first 84 minutes of its matchup with Chico State Sunday — but a late goal changed the team’s luck. With just six minutes to go in the game, a corner kick by Kelsey Wetzstein found midfielder Lauren Hayano in the front of the net where she knocked it in past the goalie to prevent the team’s fifth consecutive shutout loss. 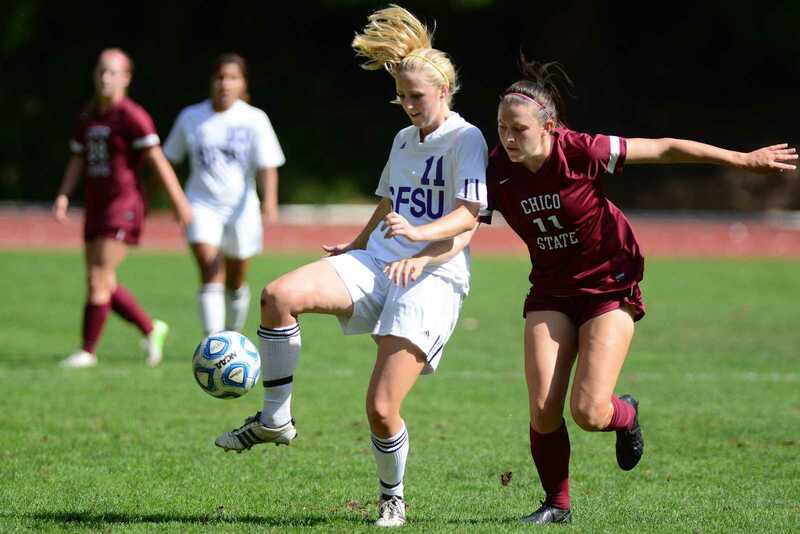 SF State improved its record to 2-5-1 in conference play. With this win, the Gators leapfrogged division mate Humboldt State and moved within three points of third place Cal State Monterey Bay. The Gators outplayed the Wildcats offensively, outshooting them 13-8 and generating a handful of scoring chances. But the team came away empty handed until the late goal. The Gators came into the game desperate to climb out of last place in their conference, as they came in with just four points on the season. Both Chico and SF State came into the game with last place records in their respective CCAA divisions, managing only three wins between them. Scoring has been a problem for the Gators the entire year, as they have managed only three goals in eight conference games. But when they do score they don’t lose, sporting a 2-0 overall record when they manage to get a goal. All five of their losses have been shutouts. Coach Jack Hyde switched his lineups around with freshman defender Jada Williams getting her first career start in place of sophomore Graceann Rettig. The Gators have the next five days off before they play two games in three days. They play consecutive road games against Humboldt State and 15th-ranked Sonoma State.